Annually, we deliver over 300,000 nutritious meals to seniors who are living at home and unable to prepare their own meals or go out to eat, and have little or no assistance to obtain adequate meals. 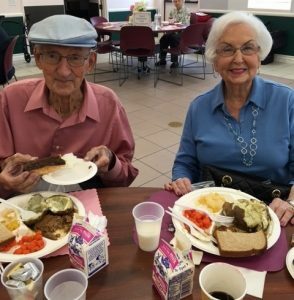 Over 75,000 lunches are served every year at our senior center locations, where seniors enjoy hot, nutritious meals while dining with their friends. 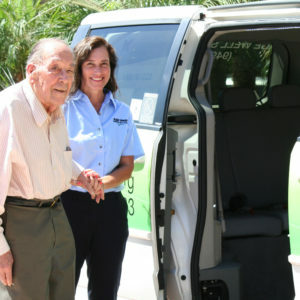 Providing seniors with transportation to their non-emergency medical appointments including therapy, dentistry, hearing, dialysis, prescription pick-ups, testing and x-rays. 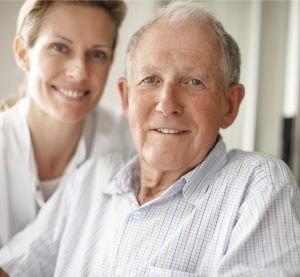 Our certified case managers assess individual cases and develop care plans that include in-home supportive services, nutrition options, transportation referrals, and safety evaluations; enabling seniors to maintain healthy independence. 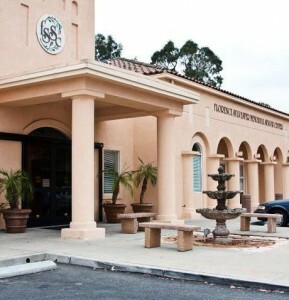 At local senior centers, we provide preventative health classes, health screenings, and informational seminars such as memory loss classes, balance/ mobility classes, flu shots, glucose screenings, etc. 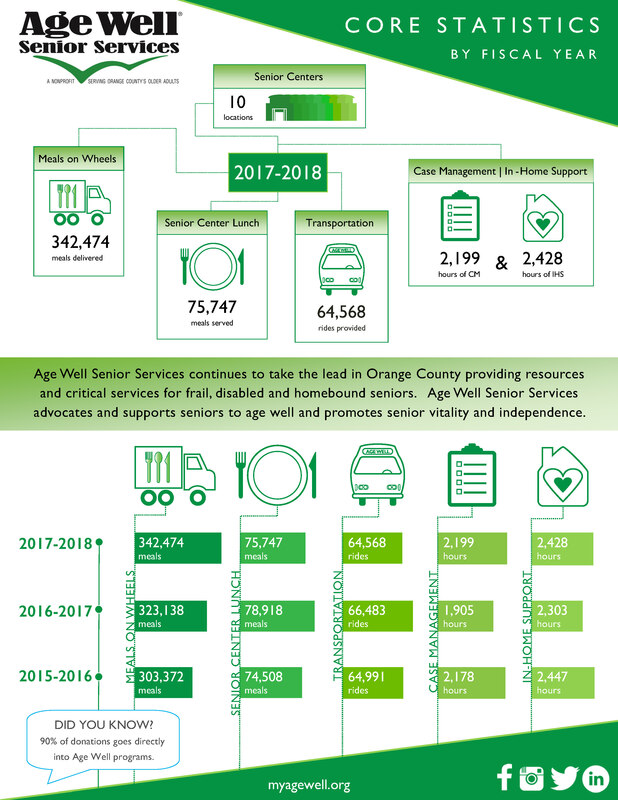 Age Well Senior Services currently provides vital services at 11 senior centers throughout South Orange County, 2 of which are fully operated by Age Well. 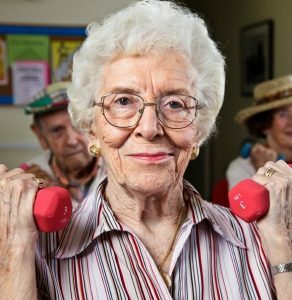 We offer innovative and adaptive programs to promote the emotional, social, and physical well-being of a full spectrum of seniors. 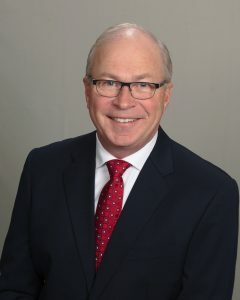 Steven Moyer, a highly respected restaurant industry leader and business executive with 40 years of experience, is the new CEO/Executive Director of nonprofit Age Well Senior Services. 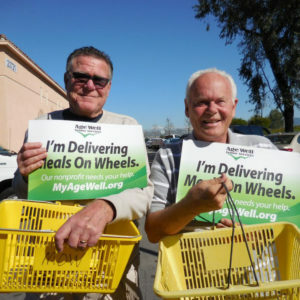 He replaces Dr. Marilyn Ditty, who is stepping back from day-to-day operations to become Age Well’s Founder Emeritus. She will help maintain key relationships and provide ongoing focus to strategic programs, projects, and development. 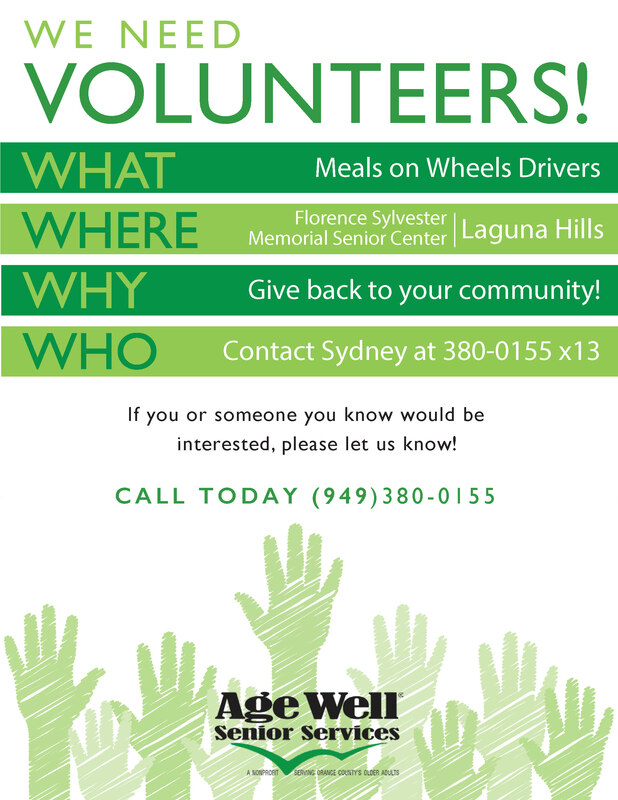 https://agewellseniorservices.org/wp-content/uploads/2018/09/We-Need-Volunteers_FSMSC-2.jpg 2596 2006 Zsa Balilo https://agewellseniorservices.org/wp-content/uploads/2017/04/agewellseniorlogo4_header.jpg Zsa Balilo2018-11-09 07:04:392018-11-10 16:35:32We Need Volunteers! 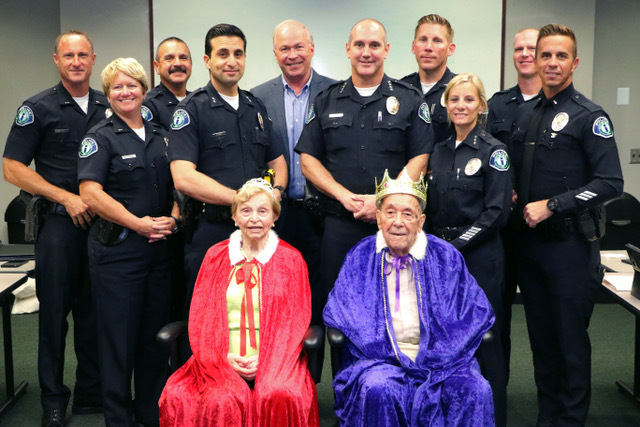 Thank you to the Irvine Police Department for its continued support of our Seniors' Prom! https://agewellseniorservices.org/wp-content/uploads/2017/08/emerituslogo.png 1788 4956 Zsa Balilo https://agewellseniorservices.org/wp-content/uploads/2017/04/agewellseniorlogo4_header.jpg Zsa Balilo2017-12-13 19:49:242017-12-13 19:49:24Courses now available!